As the name suggests, Feline Heartworm affects all cats. Heartworm disease is passed from mosquitoes to dogs and cats. Indoor cats are susceptible to this potentially fatal disease from mosquito bites at home, which is quite usual. I thought Heartworm Disease was only in dogs. Is this a new disease? Until recently, Heartworm Disease was thought to be primarily a dog disease. Recent research has shown that the same heartworm (D. Immitis) that infects dogs can also infect cats. Is this a common disease? It is estimated that 5%-15% of cats in heartworm endemic areas are infected. The research is ongoing. The heartworm parasite is the same, and both dogs and cats are infected by the bite of a mosquito. The main differences are cats tend to be infected with fewer worms and the cat’s immune system is often able to clear the infections. So if cats are so good at fighting off heartworms, why should I worry? The problem is when the cat’s immune system fights off the worms, it causes significant damage to the lungs. When the heartworms die, they can result in severe lung inflammation, blood clots, and can even trigger a fatal allergic reaction. Often, there are none! Sometimes Feline Heartworm Disease is often mistaken for asthma or allergic bronchitis, as the clinical signs are similar. Lethargy, wheezing, coughing, breathing fast and hard, vomiting, or neurological signs can be seen. These signs are part of a syndrome know as Heartworm Associated Respiratory Disease (HARD). 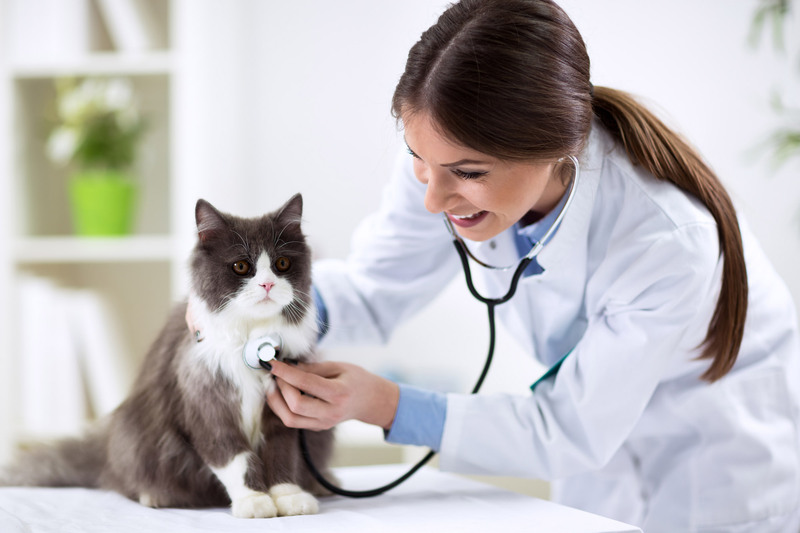 Is there a test for heartworm infections in cats? Testing for heartworm infections in cats is tricky. We test if we have a cat that has clinical signs of HARD. There are several tests that can be performed, including serology (studying the antibodies in the fluids), thoracic radiography (X-rays), and ECGs. Routine yearly testing, like we do in dogs, is not practical. Unfortunately, the tests available for cats are not as reliable as for dogs. How do I prevent heartworms in cats? We recommend Revolution. It is a once-a-month topical (easier to use with cats) medication that not only prevents heartworms, but also treats and prevents fleas, roundworms, hookworms, and ear mites. My cat is indoor only. Do I still need the preventative? Yes. Twenty five percent (25%) of cats with proven heartworm infection are kept indoors exclusively. Mosquitoes can enter the house and infect your cat.